So, if you followed me on Instagram or Twitter during marathon weekend you may have seen that something magical happened (it is Disney after all!) 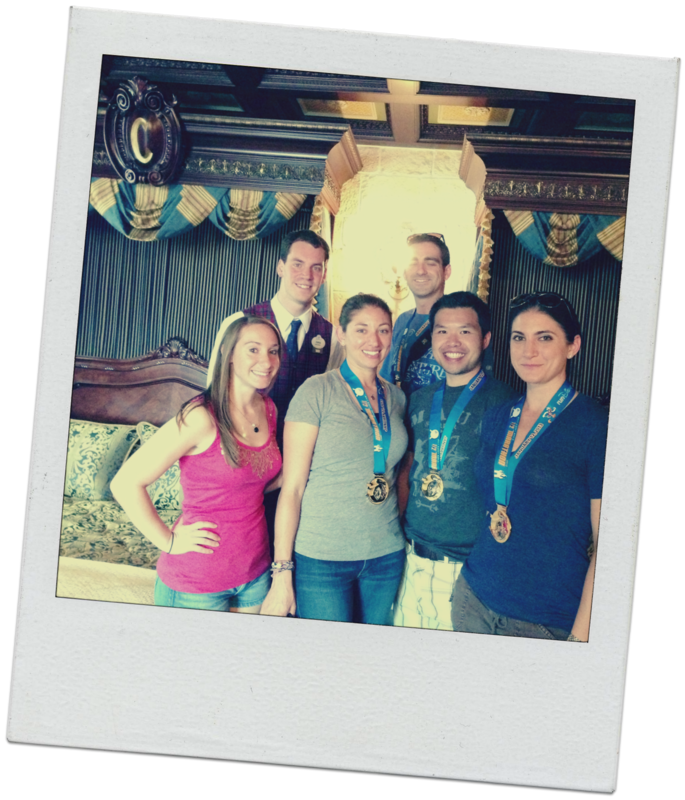 and I had the opportunity to visit the Cinderella Castle Suite! Notice what time is on the clock! It’s always one minute to midnight in the castle suite so the magic never ends! Yup…a once in a lifetime photo op and Dan closes his eyes! Ok…now back to real life! Monday – Walking around Disney, post Goofy recovery! 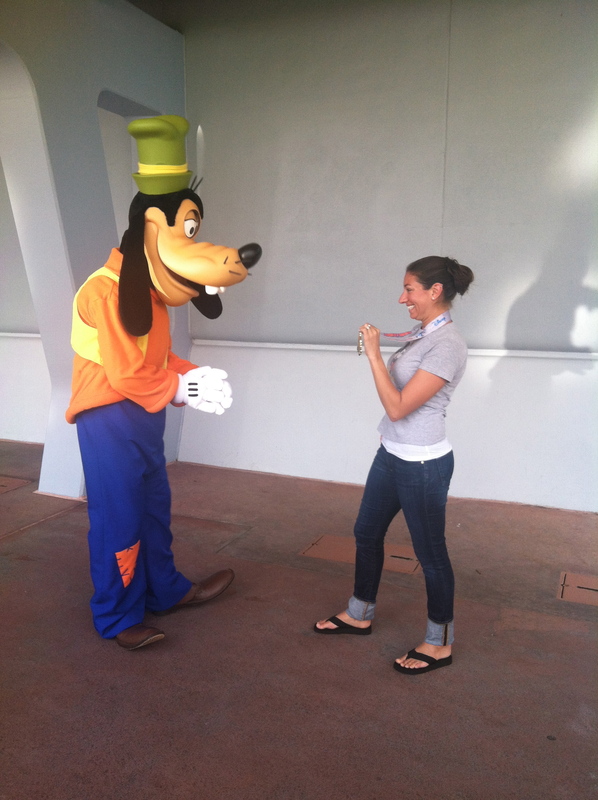 Showing Goofy my Goofy medal! Tuesday – Walking around Disney and flight home to NY! Friday – rest day, my body was REALLY craving a full rest day! Overall – I really wanted to let my body recover this week. 42.4 miles in one weekend is a lot more than I’m used to and I didn’t want to risk future injury by not taking the time to properly heal so I really focused on doing yoga and foam rolling this week. I did go on my first post-Goofy run today, a short 3 miles which felt pretty good, although I’m not sure how I was thinking 45 degrees was “hot out” when I ran a marathon in almost 80 a week ago! I’m starting classes this week (ahhh!) so it’ll be interesting getting used to a new schedule and figuring out a new running / yoga routine. I’m also going to try to start looking for a spring race or two to keep me motivated over the next few months – any suggestions?? Never heard of the Cinderella suite, but its very pretty! It’s actually INSIDE the castle and VERY exclusive! You can’t pay to stay there, it’s only given away through contests and stuff. But still it would be totally awesome to win a night in there! Haha, that’s what we kept saying! It’s almost like you’re on lockdown! The park closes and you’re sort of just stuck in there! What a once in a lifetime opportunity! I’ve heard the Castle Suite is amazing! It was very cool! A bit smaller than I was expecting actually, but really amazing to get to see since it’s so exclusive! So cool you got to see the Cinderella Suite! I got to visit the Dream Suite at Disneyland during the Tink Half last year–crazy cool. 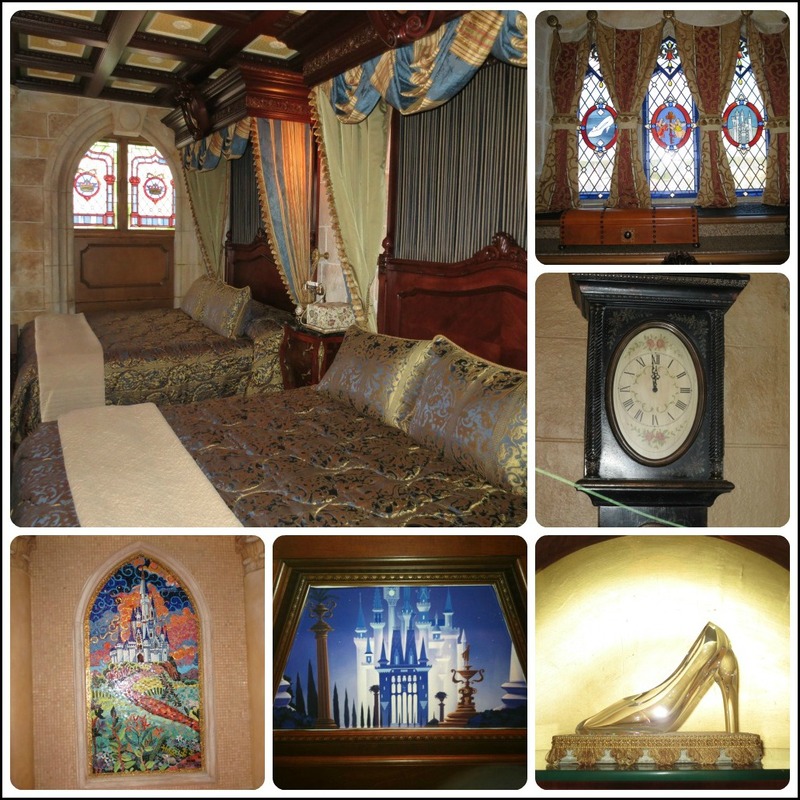 But the Cinderella Suite–even cooler!! Oooh, I’d love to see the Disneyland Dream Suite too! 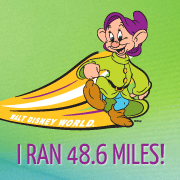 Let’s hope for something magical to happen when I’m out there for the Disneyland Half this year! So jealous! I wish I could get in there! Although they probably shouldn’t let me in because I might never leave. And race suggestions…besides the Women’s Fitness Half on April 14, my friend who just race the Disney Half is doing the Brooklyn Half Marathon in May. (wow, how many times can I use the word “half” in one sentence?) Other than that, the only races I know are the Disney ones which I know you know already. Oh my gosh!! So jealous that you were able to visit the Cinderella Suite!! How cool!! How AWESOME! How did you get this once-in-a-lifetime opportunity??? Thank you for sharing, because that’s probably as close as I’ll ever get!! !